Ysgol Bryn Elian is an 11-18 school with approximately 950 pupils on roll, 150 of whom are 6th formers. 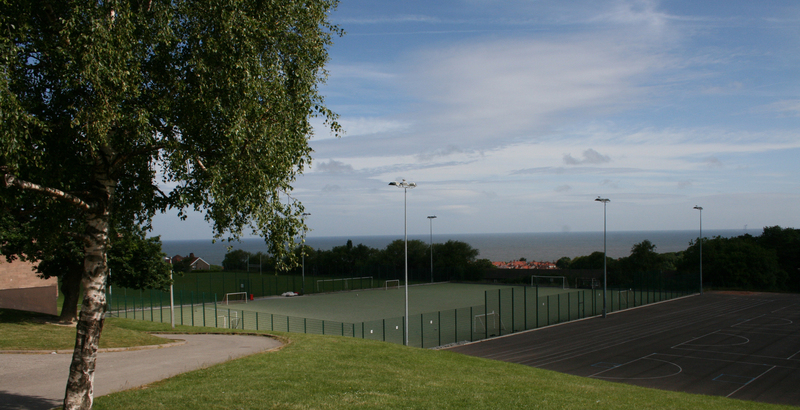 The school serves the community to the East of Colwyn Bay, comprising Old Colwyn, Llanddulas, Llysfaen and surrounding areas. In addition, a significant number of pupils travel to the school from outside its immediate catchment area. The overwhelming majority of pupils come from English-speaking homes. Ysgol Bryn Elian is renowned for the care and individual support provided for pupils. Examination results are consistently above the national average in all Key Stages. A wide range of extra-curricular activities is available in the school including a full sporting and musical programme, school productions and concerts and a variety of lunchtime activities. The school has a very well-established Duke of Edinburgh Award Scheme, in Years 10/11/12/13. Ysgol Bryn Elian occupies one of the finest sites in the whole of Wales with unequalled views across the Irish Sea to the coast of Cumbria. The site is surprisingly large, providing a range of sporting areas, including a Sports' Hall and an astro turf pitch. The school's buildings are light and airy, providing a pleasant working environment and offering high level facilities for all. Ysgol Bryn Elian is a lively and interesting place to work, professionally rewarding and a firm foundation for further career development. Our philosophy is based on a commitment to helping pupils achieve to their full potential. This is summarised in our motto: "Achievement for All/Llwyddiant I Bawb". We look, therefore, to recruit staff who are willing to contribute to the wider school community and to share their enthusiasms and expertise to the benefit of all the pupils. The school day begins with morning registration at 8.30am. Pupils are expected to be on the school site by 8.20am.